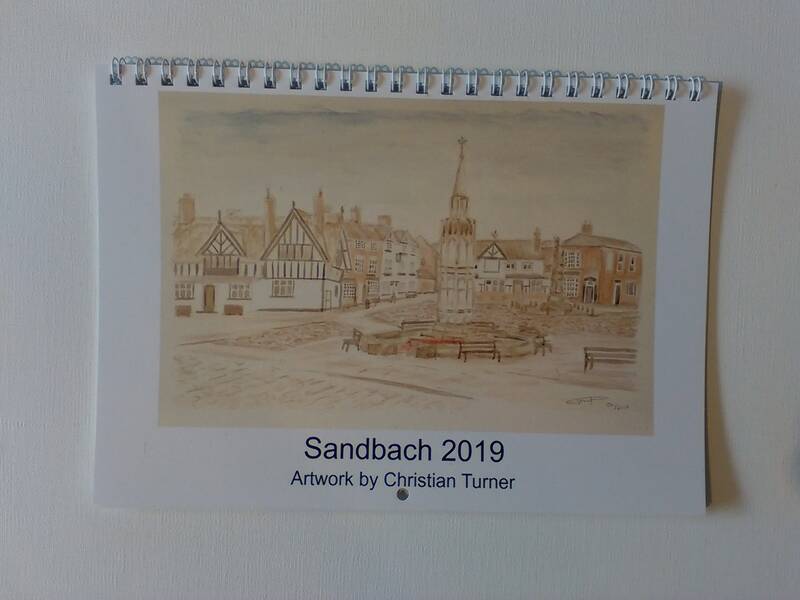 A5 13 leaf wiro booklet 2019 calendar featuring watercolour scenes of Sandbach by Christian Turner. Dimensions 210mm x 153mm x 7mm including wire spine. Cover pages 300gsm, inner pages 170gsm. Nail hole in top for easy hanging. 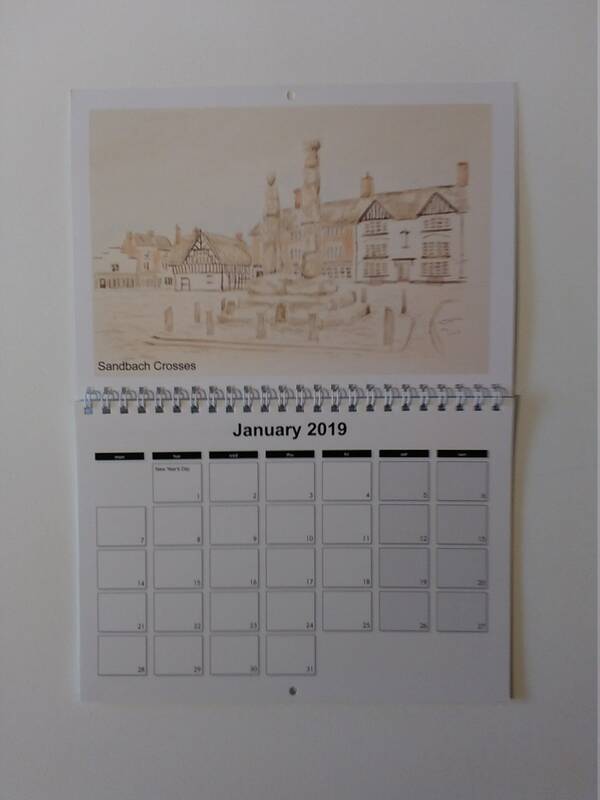 Comes in fitted C5 paper envelope. 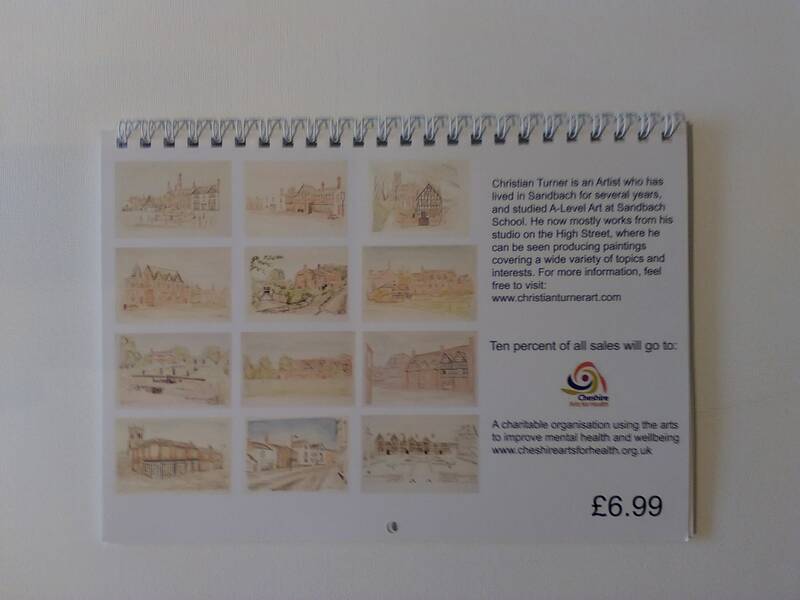 Ten percent of all sales will go to Cheshire Arts for Health; a charitable organisation using the arts to improve mental health and wellbeing.